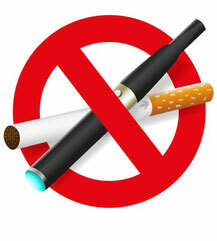 Please avoid stressful time when you book a smoking cessation session. These occasions include wedding, having a baby, illness of a member of your family, funeral, divorce, moving house, starting a new job, before going on holiday, taking an exam, Christmas and so on. It is better to book an appointment at least one week in advance, so that you can be mentally prepared for it. After you make an appointment, I will email you a questionnaire file with the confirmation of booking. Please complete and return the questionnaire by the date of the session. This is very important as your answers will be fed into your hypnosis session which makes it more effective. Also, it is better not to try to cut down or stop by yourself before the session. In fact it will be more successful if you smoke a lot more than usual towards the session and make yourself feel sick of cigarettes. Please smoke the last cigarette in your life just before the session and bring the left over pack of cigarettes, all of stuff you use for smoking e.g. ashtrays and lighters from your work and home. These will be discarded at my practice. I can arrange recording your hypnosis session onto your phone in case you will need a booster.